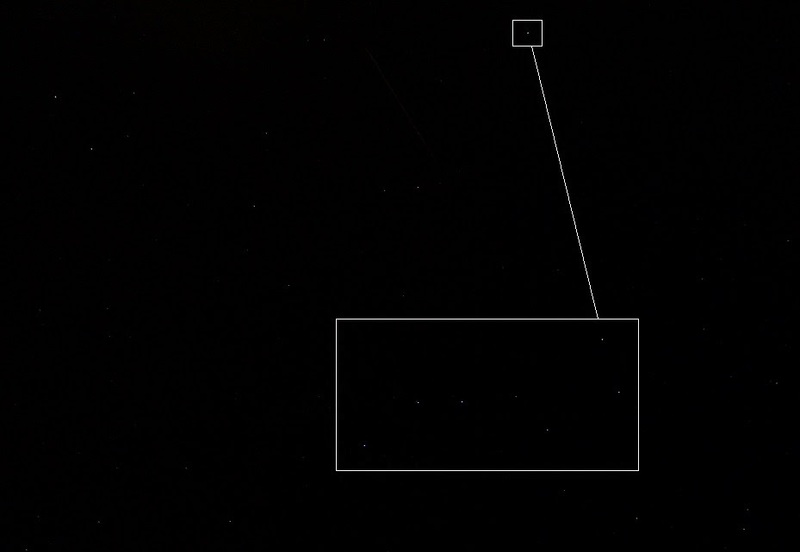 Named after a hunter named Orion in Greek mythology, the Orion constellation is one of the most recognizable constellations in the night sky. 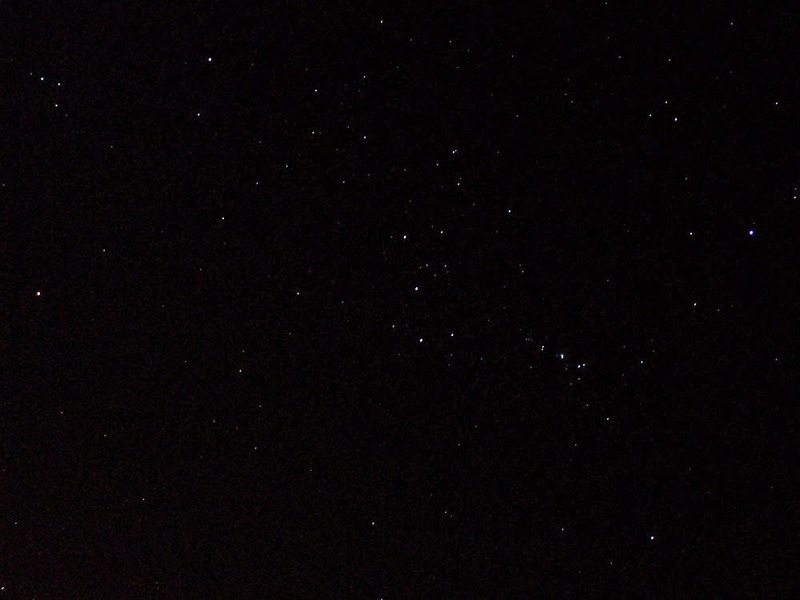 Orion's seven brightest stars form a distinctive hourglass-shaped asterism, or pattern, in the night sky. 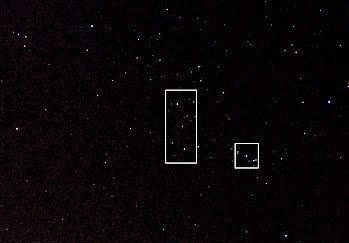 Four stars—Rigel, Betelgeuse, Bellatrix and Saiph—form a large roughly rectangular shape. The Orion Nebula is the closest region of massive star formation to Earth. The nebula has revealed much about the process of how stars and planetary systems are formed from collapsing clouds of gas and dust. Astronomers have directly observed protoplanetary disks, brown dwarfs, intense and turbulent motions of the gas, and the photo-ionizing effects of massive nearby stars in the nebula. 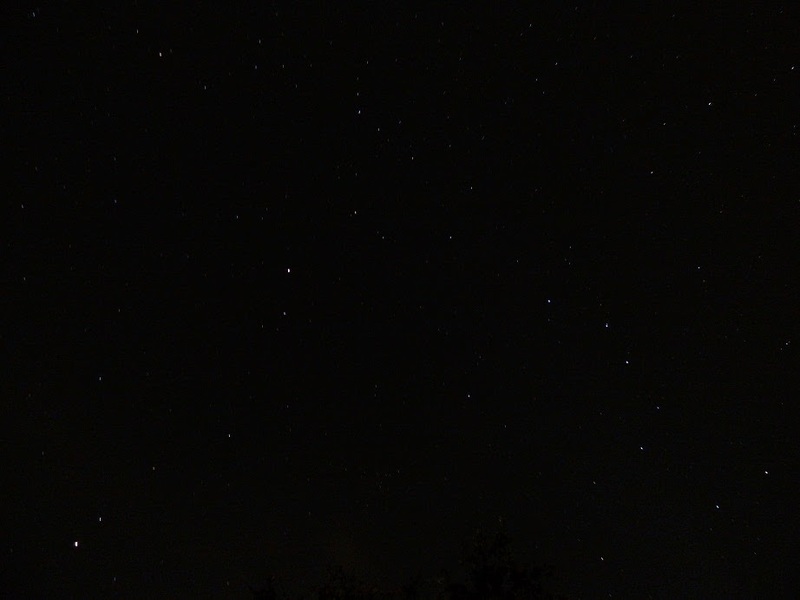 The Big Dipper (constellation Ursa Major) can be seen to follow the rough outline of a large ladle or dipper. 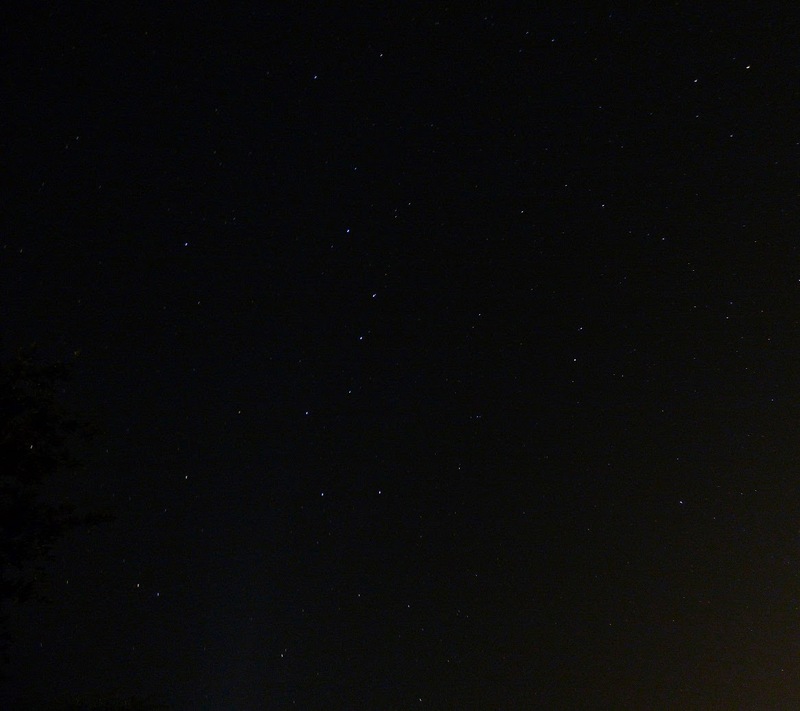 The pointer stars of the Big Dipper can be used to find the North Star - Polaris.